Other Food: daily devos: Are you a prophet? If there are chapters of the Bible some segments of modern-day evangelicalism would like to cut out, 1 Corinthians 14, at least the first 19 verses, is probably one of them. For it addresses two most controversial subjects: the gifts of prophecy and tongues. Many have rationalized that these two things should not be part of the practice of church and private life in our time. They say their use expired with the New Testament church. Others profess to believe in them, but we never see them practiced. Or do we? 1. Prophecy is to be welcomed for its use in edification, exhortation and comfort. 3. Prophecy is one reason for Holy Spirit fullness (Acts 2:17). 4. 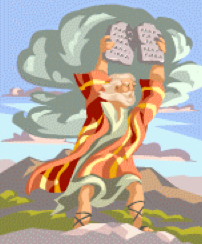 Modern prophecy fulfills the prophecy of Joel (Joel 2:28) and Moses (Numbers 11:29). 5. Prophecy is encouraged by Peter (1 Peter 4:11). 6. Paul says that every Christian has the potential to prophecy (1 Corinthians 14:31). “It (prophecy) is intended as a means of broad participation among the congregation, mutually benefiting each other with anointed, loving words of upbuilding, insight and affirmation. Such prophecy may provide such insight that hearts are humbled in worship of God, suddenly made aware of His Spirit’s knowledge of their need and readiness to answer it (1 Corinthians 14:24-25).” – “The Propriety and Desirability of Prophecy” – Jack W. Hayford, New Spirit-Filled Life Bible, p. 1599. With the above description in mind, it wouldn’t surprise me if some of you are prophets – even though you may not know it. Perhaps you don’t call it prophecy, but whenever God indwells your words and applies them to another’s life to edify, exhort or comfort, don’t you prophesy? PRAYER: Dear Lord, please indwell my words today. Make them prophetic as they edify, exhort, comfort and benefit others. Amen. Q: Does this kind of prophecy take place in the church today? A: It certainly does in some churches and Christian groups. Q: Can we trust these prophets and their prophecies? - The true prophet confesses that Jesus has come in the flesh. - The true prophet’s prophecies align with the general tenor of Scripture. - The true prophet’s prophecies come true. Q: What has been your experience with prophecy? Thanks, E! Good verse to add.